In Buenos Aires, there are many interesting places that are little known to travelers because they are not mentioned in official tour guides. Interesting graffiti are a great example. On some streets, tourists can only stumble upon these pieces of street art by chance. However, many drawings are really worth closest attention because these colorful and realistic pictures, which decorate house facades and stone fences, would suit a museum. Such neighborhoods as San Telmo and Recoleta are the best places to find these unusual masterpieces. Many know that tango is considered one of the main culture symbols of Buenos Aires, but not all travelers are aware of the best way to get acquainted with this dance. Everyone who is fond of dancing in general and of tango, in particular, is recommended to visit Plaza Dorrego. This is a true dancing heart of the capital, where visitors can simultaneously enjoy the most delicious delicacies, best Argentinian wine and watch how virtuoso dancers perform a tango. Tables of local cafes are installed in the open air, so visitors can listen to live music and watch talented dancers – this is an excellent place to spend an evening in an unusual setting. When it’s time to purchase souvenirs, head to Calle Florida. This street is the location of the longest and most unusual market in the city, where travelers can find and purchase literally everything, from handmade items and antiquities to modern clothes and football team posters. There are no typical stalls at Calle Florida, so local vendors simply place their goods on coverlets on the ground. Do you want to visit the undiscovered and secret part of the city? Then you should head to La Manzana de las Luces! These tunnels were built yet in the 17-18th centuries, and it’s a miracle that they’ve survived till our days. The purpose of the tunnels is still unclear for scientists. The underground passages are quite long and connect several public buildings and churches. Several centuries ago, the system of the underground tunnels was even bigger. Fans of landmarks that are located on the surface will prefer a visit to the colorful neighborhood of La Boca, which is located near a canal. The quarter is an interesting place where all buildings are painted in bright colors. The central street of La Boca, El Caminito, is the only officially recognized museum street in the world. A walk there will be even more interesting due to the fact that many buildings are decorated with beautiful frescos, bas-reliefs and memorial boards, the examination of which can be incredibly entertaining. Buenos Aires suburbs are home to a unique nature landmark that is also not known to the majority of travelers. Piloto Glacier is a place where ice deformation has become clearly visible, so visitors can see beautiful ice shears. It’s quite interesting to look at it as from the outside the ice looks completely white, but inside its deep blue. This article about ideas on extraordinary weekend in Buenos Aires is protected by the copyright law. You can re-publish this content with mandatory attribution: direct and active hyperlink to www.orangesmile.com. Walk through hidden local streets, sneak to a small cafe, breathe and enjoy Buenos Aires from inside. 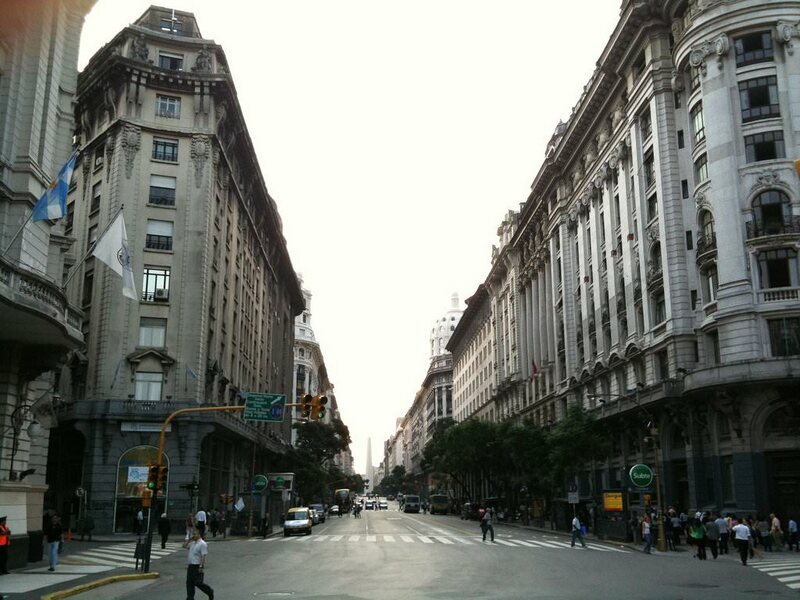 Stay out from the beaten track during your city weekend, discover the soul of Buenos Aires as a real travel gourment. Follow our guide, take one of the exclusive services and spend your time in Buenos Aires unforgettably and with a full passion!